"Marisol Morley is the owner and creator of Tiny Kitchen Treats. Her business card is a tiny little edible whisk with a tag line that sums up all she does "whipping up bright ideas". It's easy to loose track of time scrolling through her humorous instagram posts and cookies so pretty they deserve a frame." 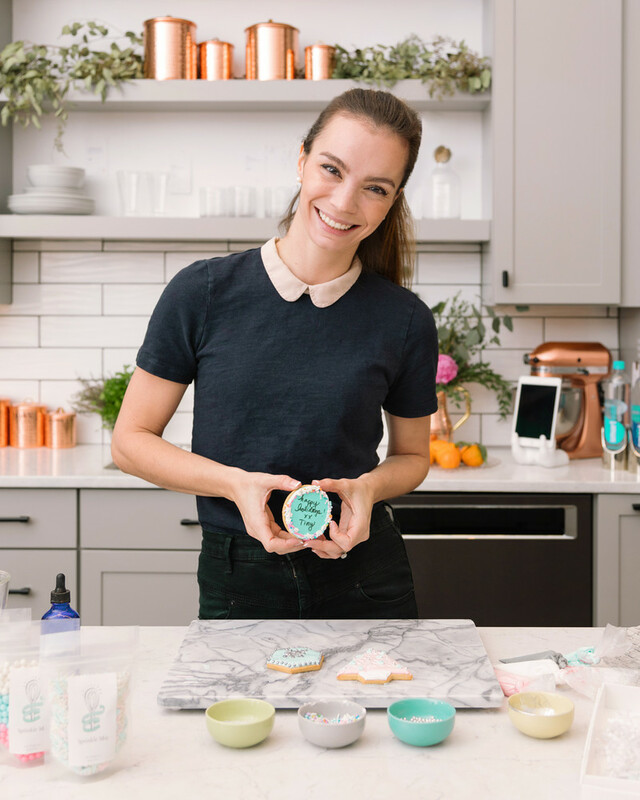 If you’re looking to add a totally original twist to your next occasion–be in a child’s birthday, a baby shower, or a summer weekend in need of a sweetness infusion–forget cake and ice cream…this summer it’s all about custom cookies, and Tiny Kitchen Treats, a NYC-based custom cookie business, has just what you need (note: don’t miss the slideshow of cookie photos below).